Higan: how to configure different emulator settings? 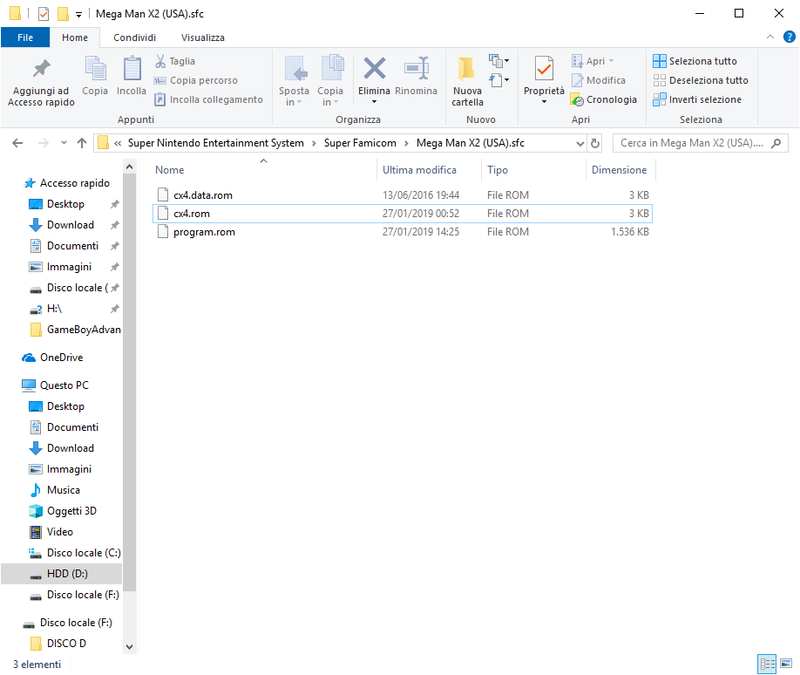 Main » Emulation » Higan: how to configure different emulator settings? i have the official Higan 1.06 release. I would like to use it for different console but for example i want to use different shaders depending on the console. Is it possible to save the setting configuration fo every emulator? I noticed that even if i use different installation of Higan, it use the same settings, so it means that it save a setting file somewhere. In this path C:\Users\Giovanni\AppData\Local\higan i don't have any file now...so i don't know where is the setting. But it seems that it isn't possible to use different Higan installation on same pc in order to use different setting fo every emulator, am I right? higan will read settings from a the standard location for settings (%LOCALAPPDATA% on Windows), or beside the higan.exe binary itself. I think if you create a "settings.bml" beside higan.exe, higan will use that file for its settings. Then you can have mulitple installations, each with its own settings. ah really? Have I to create a "settings.bml" file in the same folder where i put the .exe file of the emulator and in this way when i run THAT .exe file, Higan will use settings specific for that installation? Will the settings.bml file saved in %LOCALAPPDATA% be ignored? Confound these ponies, they drive me to drink. I think that's what Screwtape said, yeah. I see that Higan has created both the folder "higan" and "icarus" in C:\Users\USER\AppData\Local and in C:\Users\USER\AppData\Roaming. In the first path they are empty, in the 2nd path both folders include the file settings.bml. So, which is the settings.bml file that i have to move from the path C:\Users\USER\AppData\Roaming to the folder where I have saved the .exe file of the emulator? I suppose the settings.bml file in "higan" folder. But in this way, how can i manage multiple Higan installation if the settings.bml file of "icarus" folder is in one path (for example C:\Users\USER\AppData\Roaming)? - the only notable setting icarus stores is the location of the game library, and it's probably not a big deal if multiple higan installations share that particular setting. You can just delete the files from AppData and create an empty text file in your Higan installation folder with the settings.bml name & file extension. Higan will then write to it. So, after the rom import with icarus, Higan creates a game folder for every game, in the path described here https://higan.readthedocs.io/en/stable/concepts/game-library/ (bullet 3). - If i use the A method, automatically Higan alsways open the path C:/Users/My username/ instead of the path that i set as described in bullet 5 in the previous link. This happens with every installation. Why? I need to manually choose every time the right path where the roms ar saved...It's really annoying...Is it possible to fix it? - As described here (https://higan.readthedocs.io/en/latest/guides/import/), the Super Nes games with special chips can only be loaded if we import them with icarus and if we save in the same game folder the specail chip too. Well, i noticed that it is possible to load these games ONLY if i load them with the B) method becasue the emulator load the games folder, NOT the .zip original roms. Is it normal? "bullet 3" tells icarus where the game library is, so it knows where to put them when it imports them. "bullet 5" tells higan where to look for games when you pick a console from the Library menu. For example, if your library path is C:\Games\Emulation, then when you pick "Super Famicom" from the Library menu, higan will look in C:\Games\Emulation\Super Famicom. When you choose "Load ROM File", I guess higan (technically icarus, since that menu option runs icarus to choose a file and import it, then higan loads the imported game) always defaults to your home directory. I don't think there's a way to configure that path. > i noticed that it is possible to load these games ONLY if i load them with the B) method becasue the emulator load the games folder, NOT the .zip original roms. Is it normal? For higan v106, you can load special-chip games with "Load ROM File", but only games that include the game ROM and the firmware data stuck together, as described under Games with co-processor firmware. Most ROMs you'll find on the internet won't be in that format, so you can modify them to append the firmware yourself (they'll still work in other emulators, but it will confuse database-based ROM manager tools like CLRMamePro) or just load them by method B. And in my rom folder (stored in D:\EMULATORI\ROM\Super Nintendo Entertainment System) i have the megamn x2.zip file, that includes the Mega Man X2 (USA).sfc file. Ho can i create one file (I suppose a .zip file) with the 3 files togheter? In your "Megaman X2.sfc" folder, you only need "cx4.data.rom" (which should have the SHA256 hash ae8d4d1961b93421ff00b3caa1d0f0ce7783e749772a3369c36b3dbf0d37ef18), and "program.rom" which should have the SHA256 hash f3246755f608a1e1dc9c848b61da3b824c7853b29b3be40df6fc7f2793a887ed. Once those are in the same folder together, you should be able to load the game with higan. You don't need to combine the two files into one to play the game, you only need to combine the files so that icarus can do all the setup and renaming for you. Since you've done that work yourself, you're fine, you don't need a combined file for icarus. If you do need to import other games that use co-processor firmware, you'll need to do the work yourself, or you'll need to combine files. The instructions are under the "Games with co-processor firmware" section I linked in my previous message. If there's a part of those instructions you don't understand, let me know which part, so I can make it clearer. Cx4 still needs both of the Cx4 ROMs despite that, as I recall, one of them (the program?) was found INSIDE the MMX2/3 ROMs? The Cx4 emulation needs a program to run, and a lookup table of mathematical constants. The Cx4 program is stored in whatever SNES ROM you're playing, the lookup table is "cx4.data.rom" if you're using a modern version of higan, or "cx4.rom" if you're using an older version. So the Cx4 does need two ROMs, but it doesn't need both "cx4.data.rom" and "cx4.rom", because those are the same. Page rendered in 0.069 seconds with 27 MySQL queries.